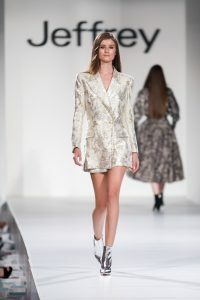 Arbiter of style, Jeffrey Kalinsky, creator of two namesake boutiques in Atlanta and Manhattan, celebrated 26 years of Jeffrey Fashion Cares Atlanta on Monday, August 27, 2018. The annual fashion forward and philanthropic event was once again hosted by Event Chairs Lila Hertz, Jeffrey McQuithy and Louise Sams. A sold-out evening, Atlanta’s most notable gathered in Phipps Plaza in the heart of Buckhead to enjoy a high-energy cocktail reception and silent auction followed by a live auction and runway show featuring Kalinsky’s style selections from high-end designers including Celine, Christian Dior, Givenchy, Calvin Klein, Dries Van Noten, Sacai, Saint Laurent Paris, Balenciaga, Christian Louboutin and Manolo Blahnik. Kalinsky is also set to open his first West Coast location in Palo Alto. 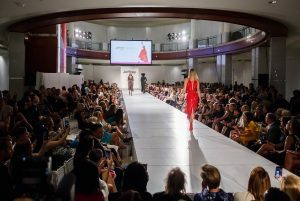 The 26th anniversary of Jeffrey Fashion Cares benefitted Susan G. Komen Greater Atlanta, the Atlanta AIDS Fund (AAF), and the Medical University of South Carolina. Over the course of its history, Jeffrey Fashion Cares has raised more than 15 million dollars for its beneficiaries. For more information, visit jeffreyfashioncares.com. A special thank you to the 2018 sponsors including: Host of the Night – Phipps Plaza; Toast of the Night – Nordstrom; and Presenting – Blue Sky Agency, eventologie, Jeffrey Atlanta | New York, MAGNUM Co., and The Tavern at Phipps.